1. 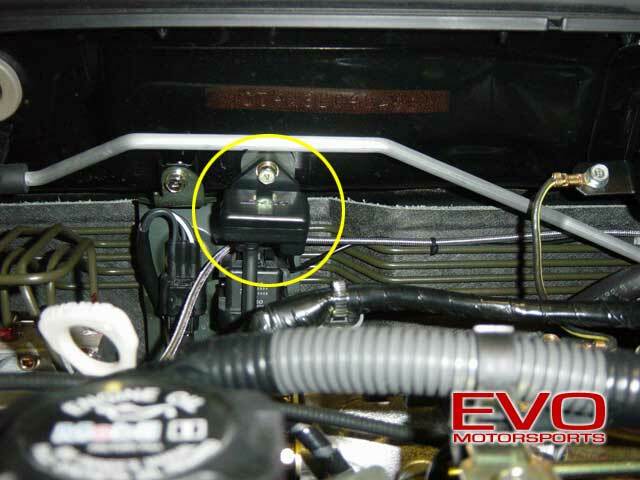 Locate a suitable mounting location for the pressure sensor if you are using an electronic boost gauge. We used an existing bolt for the fuel pump relay on the passenger side of the engine bay that is close to our reference source (fuel pressure regulator vacuum hose). Remove the bolt, install the pressure sensor and replace the bolt. Leave the bolt a little loose for the time being so you can turn the sensor, which makes installing the vacuum hose easier. 2. 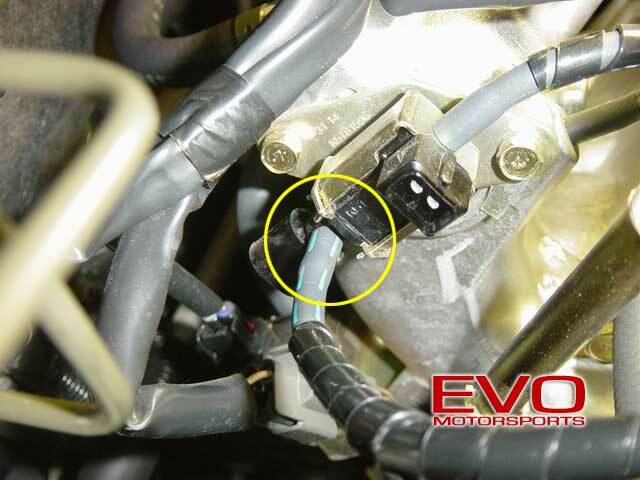 On passenger side of the intake manifold, you will find the fuel pressure regulator solenoid. Note that the harness to the solenoid has been removed only for the picture, but if you remove yours for the install, be careful not to lose the wire retaining clip! The hose in question is marked with blue dashes and it is very easy to locate. This line sees full vacuum and intake manifold pressure, so we will TEE into this hose for our pressure readings. TECH TIP: It is ideal to connect to a vacuum hose that goes directly to the intake manifold whenever a vacuum/pressure source is needed. 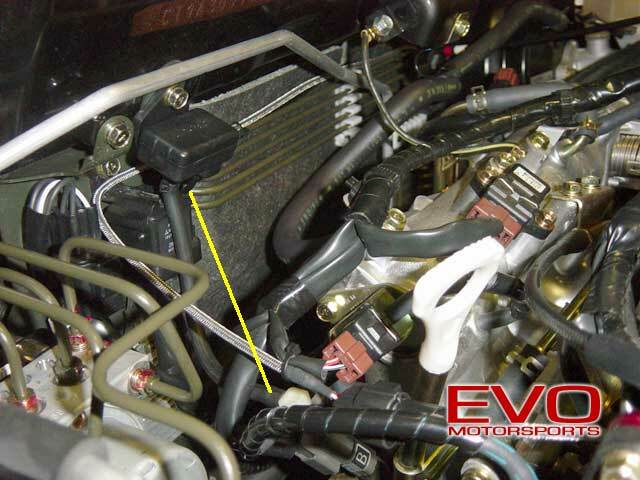 Some hoses connected to solenoids or the throttle body may not read pressure all the time (or at all) and some may not read vacuum. Using any hoses with those characteristics will obviously give you very inaccurate readings...or none at all. The particular hose from the fuel pressure regulator to the bottom of the FPR solenoid reads vacuum and boost 24/7, so it's a prime candidate. 3. You will need to pull the hose off the FPR solenoid to TEE into it. Removing the harness to the solenoid may make it easier, but isn't necessary. It is easiest to first "spin" the hose around its connection to break it loose instead of just trying to pull it straight off. Once the hose is off of the FPR solenoid, cut a piece of the supplied vacuum hose about 1.5" long. 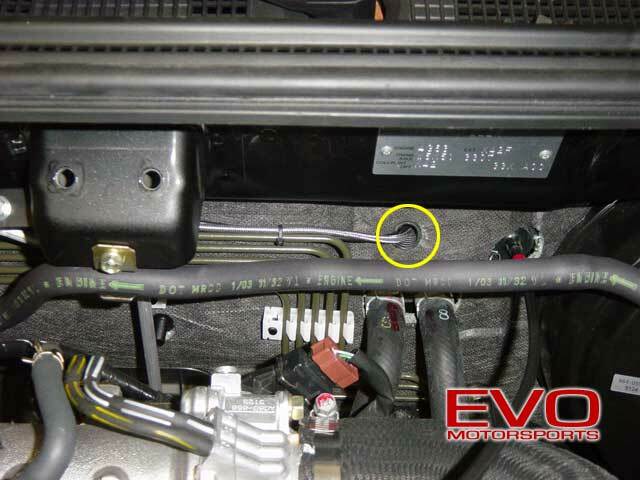 If you are installing a mechanical boost gauge, you will most likely need to get your own vacuum hose for this connection. Using the short piece of hose you just cut, install it on the FPR solenoid where you removed the blue-dashed hose from and then insert the TEE into the opposite end so that the leg of the TEE faces the firewall (or which direction you want to run the new hose to). 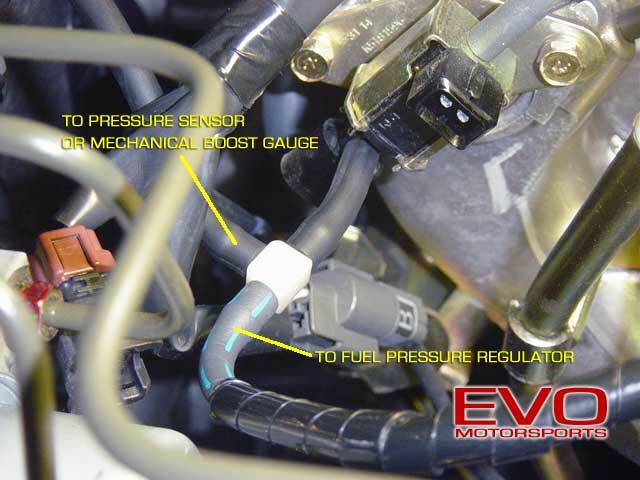 Connect the blue-dashed hose from the fuel pressure regulator to the open arm of the TEE opposite the FPR solenoid. 4. Measure the length of hose needed to run from the pressure sensor (or your mechanical boost gauge) to the last open leg of the TEE. Cut it to fit and make the connection to the pressure sensor (or mechanical boost gauge) and TEE. 5. Tie strap all vacuum lines at their connections to ensure they will not blow off under boost. 6. Run the sensor wire (or vacuum hose/tubing on mechanical gauge) through the firewall and make the connection at the gauge or Control Unit II in our case. If you need instructions on making a hole in the firewall for this, see the General How-To Evo Tech section. 7. After your connections are made to the gauge or Control Unit II, start the car and check that the gauge is reading vacuum. Stock Evos will read approximately 16in/Hg (.55 BAR). Now mount your gauge and you are done!